The images LG used to promote its washing machines focused on women doing activities like going to the spa, getting their hair done, and baking. LG Canada has been accused of sexism after pushing an ad campaign for a new washing machine on social media that features women doing things like going to the spa, getting their hair done, and baking. The advertisements at the centre of the accusations were for the company's washing machine that allows two loads to be done at once. They have appeared on Facebook and Twitter since at least late March. LG wanted to promote that the users could save time, but the activities and people in the ads attracted more attention than the capabilities of the machine. LG took down the majority of their posts containing the ads and issued an apology. Twitter users suggested the ads were sexist since laundry is not solely done by women and the depictions of females in the advertising capmaign were stereotypical. 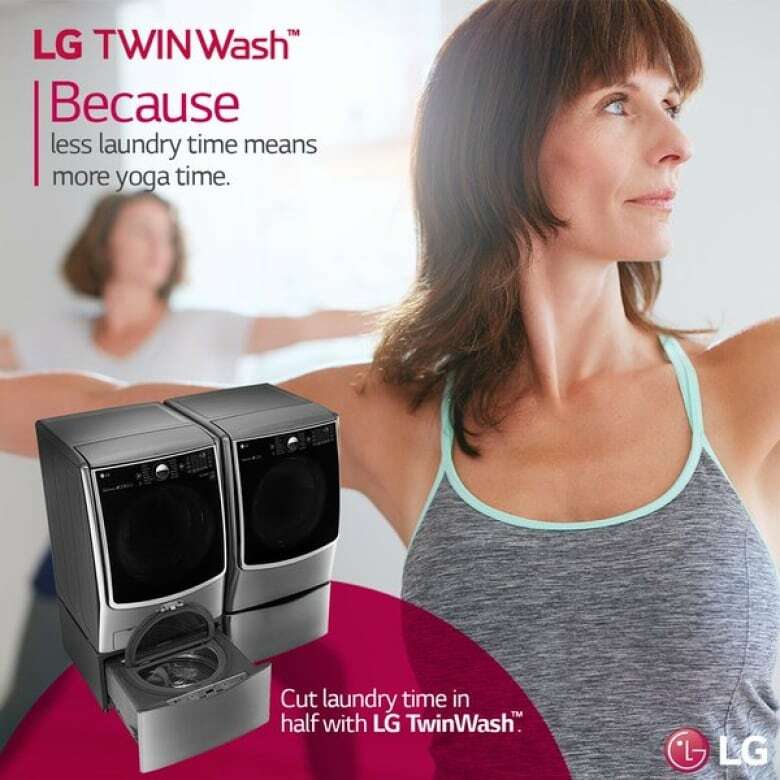 With all the time <a href="https://twitter.com/hashtag/LGTwinWashTime?src=hash">#LGTwinWashTime</a> saves me I have way more time to plan outdated and sexist marketing campaigns! People wondered if they were in a 1950's time warp. Some questioned why all the models in the ads appear to be caucasian. Men noted that they also do laundry and that the images didn't reflect the share of housework in their homes. Some people remained dissatisfied with the company's response, saying LG didn't appear to be taking accountability for the way women were depicted. Some think the concept of the ad was viable. 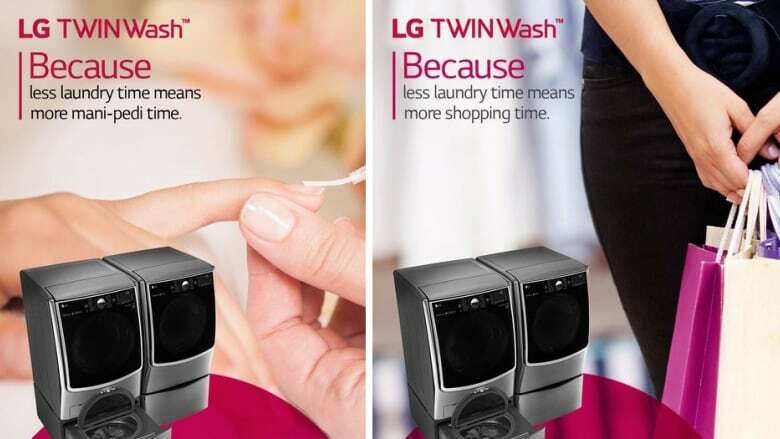 The basic premise of LG's campaign is that the laundry machine can save time, which if not applied stereotypically to women, could be appealing to some. A Twitter user quickly made these mock-ups that others quickly identified as better versions of the same premise. LG's early ads weren't focused on women necessarily, and attracted little negative response. Meanwhile, the next question for discussion is what's going on with this vacuum cleaner box?